Welcome to the resource center for the FMC-SDP Interposer! 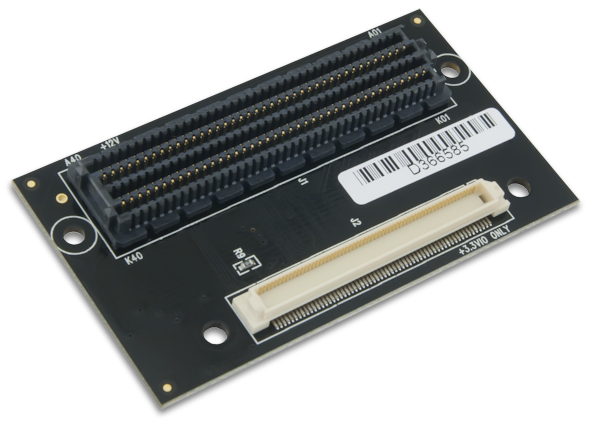 The FMC-SDP interposer allows any Analog Devices SDP Evaluation Board to be used on a Xilinx® evaluation board with a FMC connector. The interposer uses the Low Pin Count (LPC) version of the FMC connector, so it can be used on either LPC or HPC hosts. The interposer can only be used with FPGA boards that support 3.3VIO for the FMC connection.